Marine Park manager, Leo Martijn handing over the new tag to Governor Rijna. Kralendijk - Last Thursday, Island Governor Edison Rijna bought the first dive tag for the year 2019. 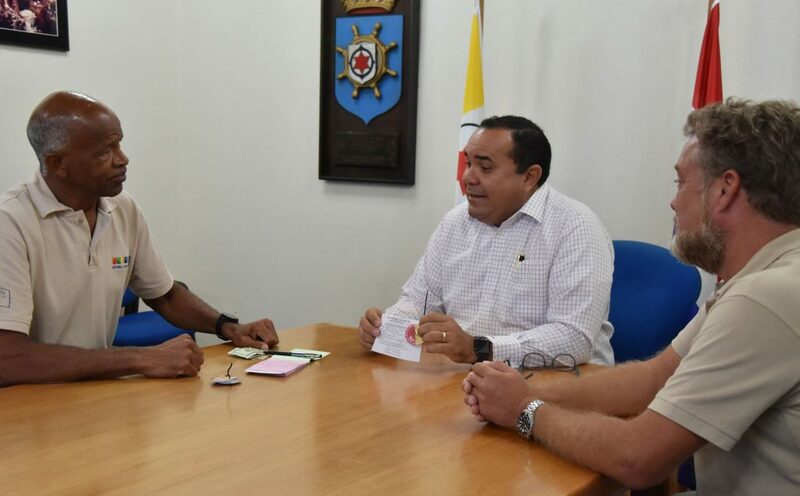 Arjen de Wolff, director of the Bonaire National Marine Park, and Marine Park manager Leo Martijn have handed over the first dive pass numbered 00001 to the Lieutenant Rijna with accompanying receipt. The Governor can now use our underwater park and dive for a year with his new dive pass.